1. Apply a heat protecting product from top to end. Sedu’s Anti-Frizz Polishing Treatment with pure argan oil is the perfect thing to eliminate frizz and flyaways and help take hair to the next level. 2. Blow hair dry with a round brush, lifting the roots up if you want a little volume. Sedu’s Revolution Pro Tourmaline Ionic 4000i Dryer will ensure quick drying without any frizz or static. 3. Divide hair into ½” to 1” sections using a comb. Pass the Sedu Revolution Tourmaline Ionic Styling Iron through the hair from root to end for straight locks. It polishes the hair as it seals the follicle, reducing static and frizz. 4. Piece out strands to add some texture with a little more of the Anti-Frizz Polishing Treatment. The result? 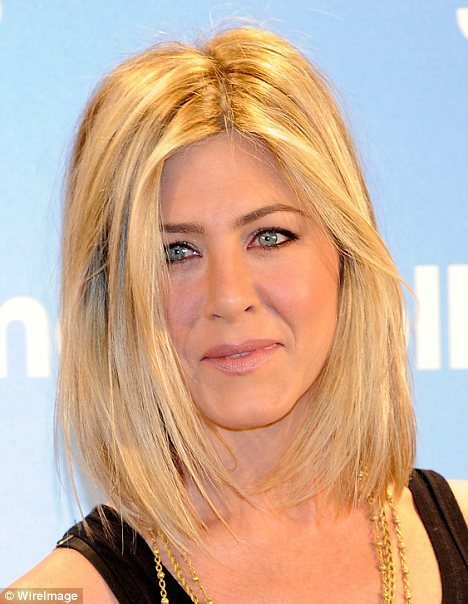 Red carpet-ready hair that is sleek, shiny with a bit of an edge, just like Jennifer Aniston’s. Sedu Anti-Frizz Polishing Treatment, Revolution Pro Tourmaline Ionic 4000i Dryer and Revolution Tourmaline Ionic Styling Iron are available at folica.com and select salons.